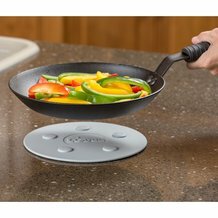 Cast iron cookware is a staple in the arsenal of any good home chef, and Lehman's has the best. 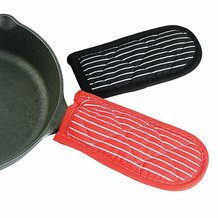 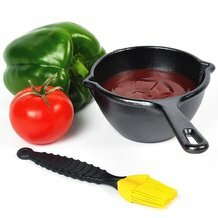 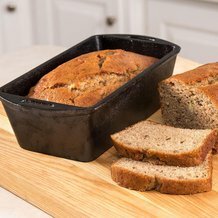 Cooking food with cast iron brings many amazing benefits - it conserves energy (since it uses less heat and water), adds dietary iron to food and simplifies cooking by providing even heat and preventing sticking. 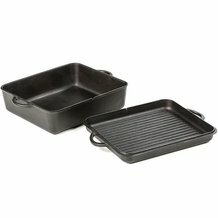 Lehman's knows that there's no cookware more suitable for off-grid living, camping and cooking over the open fire than cast iron. 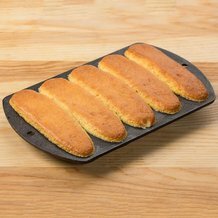 Shop American-made cast iron skillets, pans, waffle makers, grills, pizza pans, biscuit pans and much more in this excellent selection. 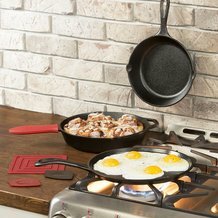 With a huge offering of top-rated Lodge cast iron cookware plus other options, you'll find smart new ways to cook with cast iron at Lehman's. 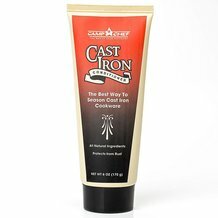 From cast iron outdoor cooking kettles to large cast iron cookware for the campfire, we're sure you'll discover something here that makes you want to get cooking.